It’s a Thursday night in Jerusalem – the time for parties, public drunkenness and revelry among the capital’s Jewish youth. The downtown area is flooded with teenagers, but here and there among the gaiety is another side to the Holy City: homeless men and women, and sometimes beggars. 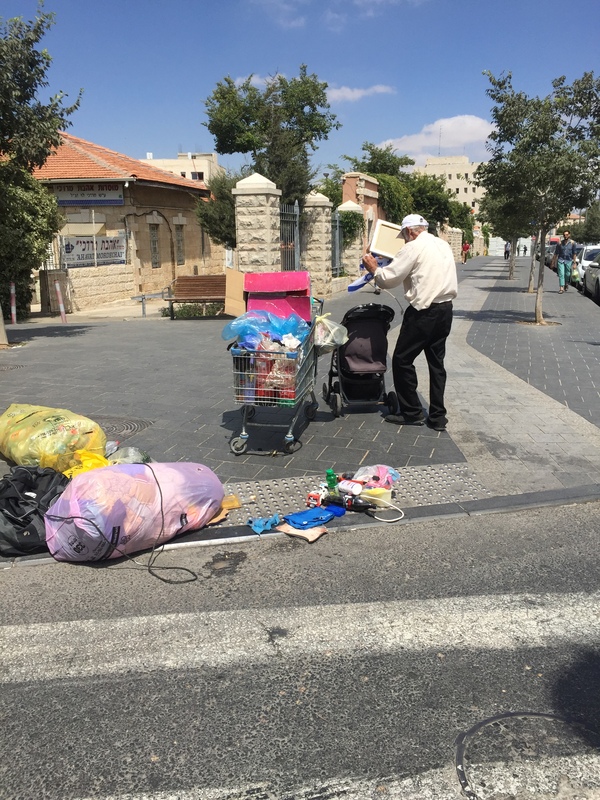 On Ben-Yehuda Street, a man with a messy beard and stained tan jacket roots through the trash. Nearby on a bench on Shamai Street, not far from the fun-filled Waffle Bar, another man sips from a plastic cup that holds vodka. A friend sleeps nearby on the sidewalk. Homelessness is a problem in every city in the world. A 2013 survey found 136,826 homeless people in California, but statistics for many places outside the US – where the problem is well-studied – can be hard to come by. On some continents, like Europe, the rise in the number of migrants creates an influx of temporarily homeless people who occupy public areas and parks. Like all cities in the world, Jerusalem faces challenges – such as being a religious pilgrimage center for people who suffer from mental problems – and it has learned to address them with approaches that work elsewhere, such as providing shelters, soup kitchens and halfway houses for those in need. One of those who fell through Jerusalem’s cracks is 34-year-old Binyamin Stern. With his youthful face and broad smile, he looks far younger than his years. The Moscow-born Stern now lives in a shared apartment in a plush neighborhood near the city center, maintained by the municipality’s Crisis Intervention Center. “I came here to study in yeshiva and because I was a Zionist,” says Stern, sitting at his desk in the small apartment, next to his modest single bed. 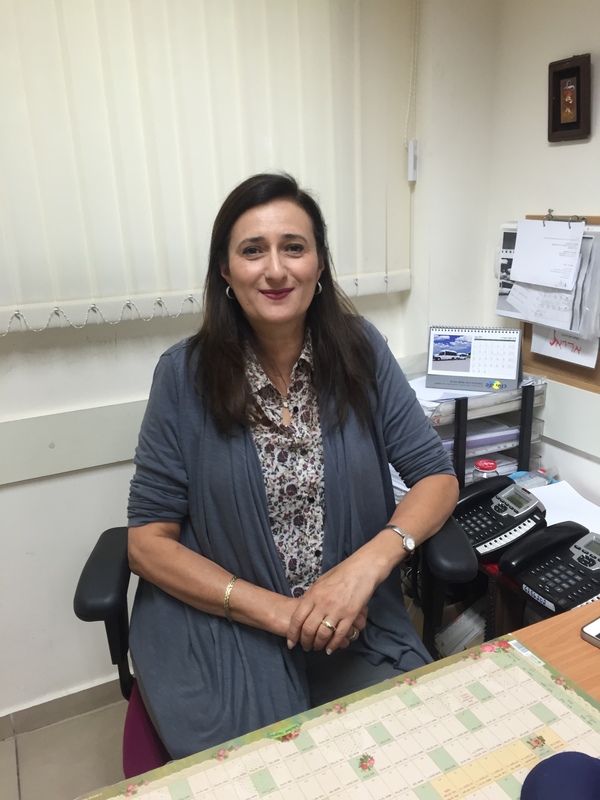 “I was studying in Petah Tikva and working various jobs. 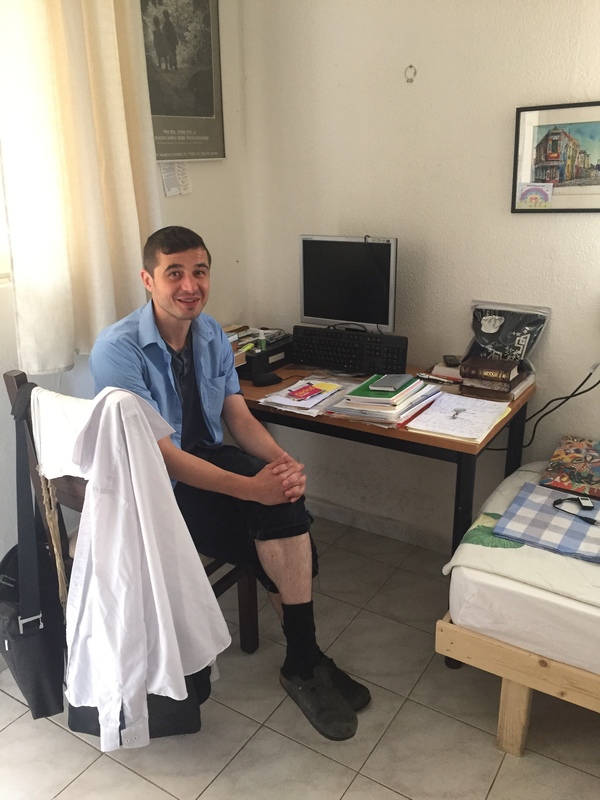 Eventually I found myself living on the streets in Jerusalem, and began to work with a social worker here named Efrat; they [the city] really helped me.” He has been living in the apartment for eight months, studying to be a sort of insurance investigator. He’s on a break today, studying hard. “I feel like a man here, with dignity,” he says. “It is a big change from living in the shelter; I feel hope and have an organized life.” He meets with social workers who encourage him to continue his education and find work that will enable him to move out on his own. He hopes to save enough money for that, and to marry. THE CONCEPT guiding municipal emergency services is to set the city’s homeless on a track toward getting off the streets, becoming sober if they have addictions, and escaping the pressures of not having money or a roof over their heads. The emergency services center on Koresh Street, not far from city hall, has several social workers and can receive those in need 24 hours a day. Located beneath a canopy of green vines, it is concealed enough to provide the privacy that the homeless may feel they require to approach social workers for help. When I arrive there on a hot Tuesday, a few men are shuffling in and out, their gazes averted; this is likely not the life they imagined, and the anonymity of not having to wait on line in public seems to help them. Inside the center, Tamar Siboni presides over a small staff. She has worked for the municipality for 22 years, dealing with social welfare, and 11 years of that has been helping those on the streets. Siboni describes two groups of those we might consider homeless: people who have become homeless temporarily, and those who have serious addiction or psychiatric issues and live on the streets. Some of the temporarily homeless may have been evicted from their homes and may hold part-time jobs; in their cases, living on the streets has been forced on them through outside circumstances. Siboni has deep empathy for those with whom she works. “They have broken all connections with their families, friends or people from their past. They don’t have someone who can come and say, ‘I will help you.’ Think about us, how we have [a dozen] people we can call and get help. But these people have no one,” she says. The city’s welfare services see themselves as a key factor in intervening and providing relief. However, the homeless person must take the first step. “We can’t force them to come in from the streets,” she explains. “If they want to stay there, there is no law that forces them to get help.” Nevertheless, emergency service workers do go out on tours of the city to check on those who may need help. “These tours are crucial,” asserts Siboni. It is a complex process, and the three or four social workers on staff – as well as the five assistants, who usually serve as life coaches – have to deal with a multiplicity of problems. For example, those who are homeless may have physical disabilities, psychiatric problems, drug and alcohol addictions or debilitating health problems, such as heart conditions and diabetes that have gone untreated. A hospital might treat one or two of these problems if an ambulance found such individuals, but the hospital would then return them to the streets. The social workers try to encourage those in distress to receive as much help as they need, but since they can’t force them to receive, for instance, rehab if they don’t want it, the social workers may end up being able to assist with only one of several problems. “We often work hand in hand with them,” explains Siboni. The social workers help guide them through the complex government bureaucracy to get the aid they need. For instance, they can receive rental assistance of up to NIS 1,200 a month for four years, and the social workers may help them reestablish connections with their families. The first step is often to get them into the local homeless shelter, which is in a hotel in the city center. “There are many people for whom the shelter is the first service – from the first day to a year, which is the maximum they can be there,” she says. The shelter has 16 beds, but during the winter months it expands to 30 beds to aid those who may be in danger from the cold. Recidivism is a major problem, with some homeless making use of the services and returning to the streets. Siboni notes that it can take some people four to seven years to return to a normal, productive life after being driven to a life on the streets. For many, that success story may not even be on the horizon. 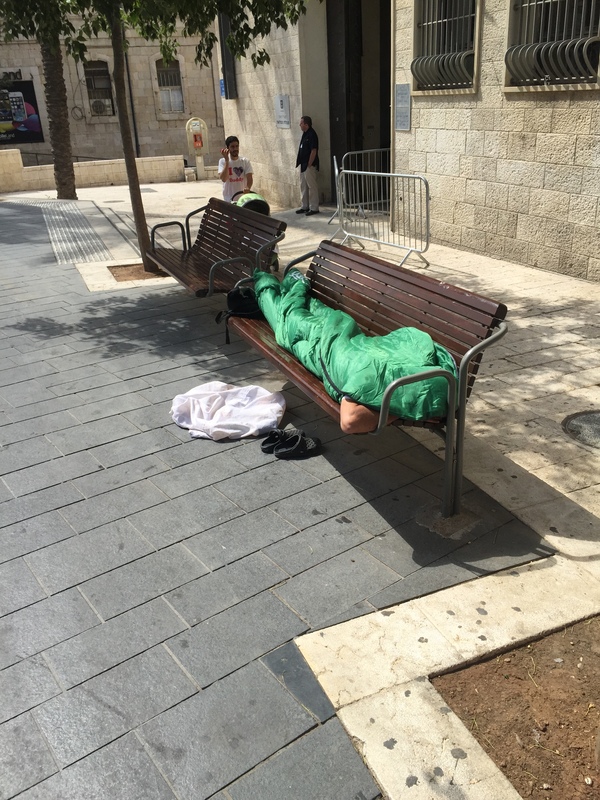 Currently the Jerusalem Municipality works with 200 homeless or formerly homeless people. Of these, 80 percent are men, and 60% have addiction problems. In recent years, there has been an increase in homeless women seeking assistance. This is not because there are more homeless women, Siboni believes; rather, it shows that women are choosing to make use of the city’s services rather than allowing themselves to fall into other paths – something she views as a positive development. Some of these stories have a kind of comic element to them. Siboni recalls one Belgian tourist in his 30s who set himself up in a tent in Talbiyeh, one of the city’s wealthiest neighborhoods. Emergency services went to ask him why he was sleeping there, and the man claimed he had come to help the IDF defend Israel. Eventually, with the help of the embassy and the man’s father, he returned to Belgium, his mission to aid the army apparently undertaken in vain. OVER AT the homeless shelter, the residents have all been cleared out. At 8 a.m. they receive breakfast and must vacate the hotel. The wing for the homeless is behind its own modest door in a hallway, so other guests don’t realize they are paying to stay in a place where people from the streets are sleeping. A night watchman’s desk sits in front of the shelter’s rooms. A former shelter resident himself, the watchman is supposed to work with the homeless and set a personal example for them to pull themselves up in life. “In the first month, they can relax and we don’t push them; after that, they need to seek treatment,” explains Siboni. The idea is to give them an initial roof over their heads and relief from the pressures of the streets, then get them on a track involving rehab or other welfare. They are introduced not only to the government services for which they are eligible, but also to the numerous privately funded scholarships, soup kitchens and support groups. When we visit the shelter, with two single beds in each room – some of which smell of dirty clothes – it is a picture of poverty and heartbreak. On one bedside stand is a black-and-white photo of a rose that has been colored red. Another displays a photo of an Ethiopian man, evidently a family member. Little plastic bags and jumbled clothing are all the possessions these people have acquired in decades of life. The halfway house the city maintains is exactly the opposite. Located on a posh street in an expensive neighborhood, it is furnished with new tables and couches – no IKEA here, but local products. Religious books line one wall of the entrance, alongside a painting of a rabbi. Whereas the shelter has two rooms for women, it seems the halfway house at present is all male residents, with room for nine in all. They can stay for up to two years in these accommodations; the concept is to make it feel like home. And it does seem like home. Stern, the Russian immigrant, relaxes in one room, while another man eats breakfast. On a bed in a third room are a guitar and a nice backpack, like a student could be living there. Many of those who end up homeless in Jerusalem have rich and unusual backgrounds. Raja was born in India in an orphanage in the former French colony of Pondicherry, but was adopted by a Jewish American. He stresses that he wasn’t a drunk or a drug user. “I wasn’t really on the streets. Even if I didn’t have my cab, I slept in parks, but I didn’t meet with much violence.” At the emergency services center, he found people who took him by the hand to help him. “There is a social worker every week who talks to me. She encourages me to do things. I had bank problems and owed money; she helped encourage me to end that. She doesn’t give up on you. The center is warm and caring.” He doesn’t know the future, but in September he will have been working with the center for a year. He now works as a security guard on the new railway line under construction to Jerusalem. ONE OF the women who found help after being briefly homeless is Rivka, who was born in Morocco. A soft-spoken, dark-haired woman, she came to the country at age 28 and held numerous jobs. “I came here [to Israel] and started working as a waitress, but couldn’t keep working in this profession because of Shabbat. After that, I did many other small jobs, like cashier and saleswoman, then housekeeping, which was difficult, and then I worked with children…. I was living on the street for two weeks. My family couldn’t support me anymore. I was in a situation where I had no work,” she remembers. “I was told by a person I know that there was a place that helps people recover from the street,” she continues. 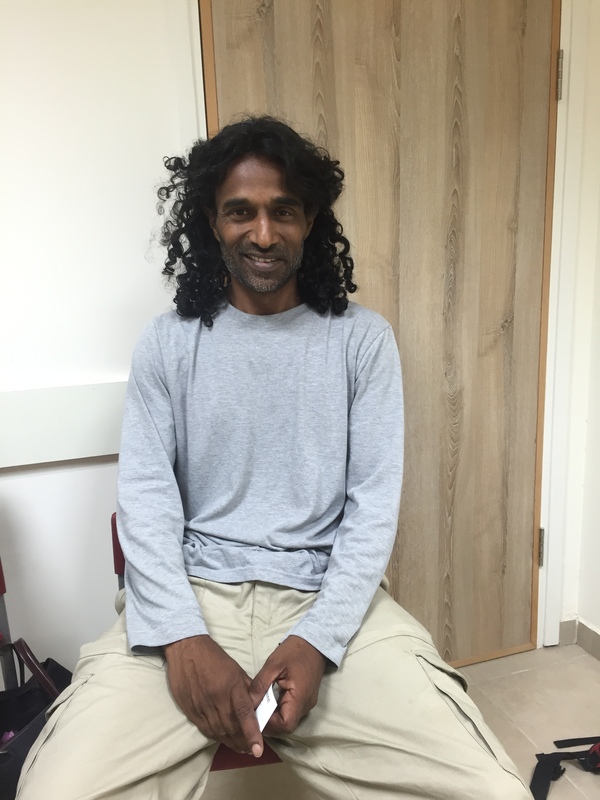 “I came here, and the lady gave me many smiles, and she kept saying, ‘Everything will be all right, you don’t have to be in this situation.’” Like Raja, who is multilingual, Rivka speaks Hebrew, French, English and Arabic, but was not able to find a steady job. “I started to build my life and change directions. I was weak when I came here to emergency services, and I received a lot of affection here,” she says. She is still looking for steady employment, but hopes to rent a place soon. The city’s emergency services are just one piece of a larger mosaic in aiding the capital’s poor. The International Fellowship of Christians and Jews provides assistance to numerous organizations that also provide aid. A shelter that the Elem organization runs on Jaffa Road for homeless youth, for instance, assists young adults ages 18 to 26 and has provided help to 162 teens a year on average. A shelter for religious teenage girls in Ramot helps those who have suffered sexual abuse, crime and addiction. More than half a dozen soup kitchens and organizations provide meals for the needy, also with the IFCJ’s support; these include Nitzav Rachel, which serves 81 daily meals, and Karmei Ha’ir, which serves 100. How many beds are available I’m on disability and need help getting on my feet. What’s the address there . And do u have any beds available. I don’t know I don’t run the place, I just wrote about it. Sorry.